Are you looking for a location that will challenge and excite your employees or co-workers towards creating a more positive workplace? 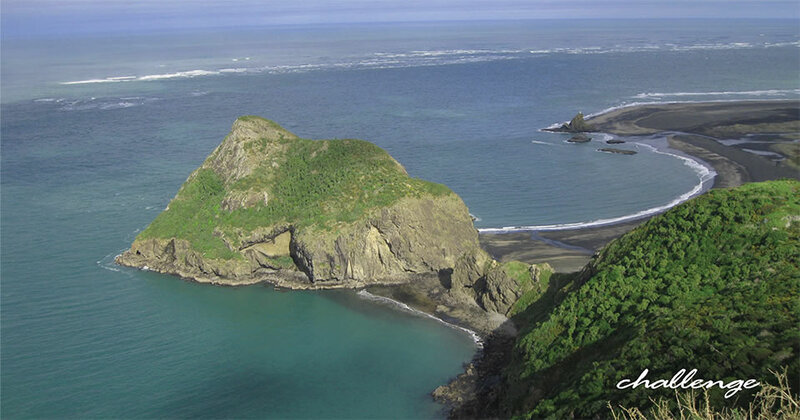 The natural assets of Whatipū may be the perfect destination to take your team out of their comfort zone no matter what background they are from. Whatipū Lodge will remind them of a simpler time in their lives, when it was easier to relax and enjoy a less complicated lifestyle. Whatipū Lodge allows your company to plan affordable, flexible and challenging office escapes for groups of between 8 and 25 people. We provide the facility and location; you provide the team and enthusiasm. We can recommend professional team builders to manage a range of suitable activities and challenges. Please note some of these many be dependent on weather conditions. A degree of common-sense and flexibility is required in what is a unique and sensitive coastal environment. Bring your flip charts, bring your data projector and white board. Bring food and beverages and make your team building memorable in the landscape of Whatipū. Bring your family, we have space for you to conduct your meetings and for others to be comfortable in our surroundings. The Whatipū Lodge can be hired for just the day or plan to stay and play. Bus transport can be arranged with Ritchies or hire a suitable minibus with Metropolitan Rentals. We can recommend catering from The Huia Foodstore (phone 09 8118 113) or Loaves and Fishes (phone 09 817 2285), who are both familiar with our kitchen facilities. Both do amazing food. Whatipū Lodge can cater for up to 37 people, however for corporate groups to have individual beds 25 people is the maximum. There are 17 individual rooms. You do need to bring your own bedding and towels. We provide pillows and pillowcases, hand towels and shower mats. Pricing is based on mid week business. For weekend business (Fri/Sat/Sun) the usual Lodge rates and conditions apply. Day use. The minimum cost is $250 for day use. Add $5 each additonal person after ten to a maximum day use cost of $500. So you can have a maximum of 60 staff using the Lodge facilities for only $500. Arrival from 9am and departure by 5pm. Please note the dining hall seats 37. Overnight use. For two day meetings and using the Lodge facilities overnight the minimum cost is $500. Arrival from 9am and departure by 5pm the following day. Add $40 for each additional person after ten to a maximum of $900. Maximum overnight corporate guests is the Lodge capacity of 37 (this will mean using top bunks etc.). Day visitors add $10 per person.